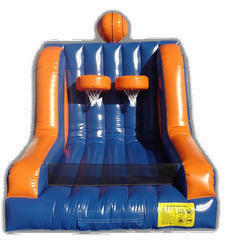 This Basketball game offers a competitive challenge for two players to take on the hoops. This unit is brightly colored and brings the carnival excitement to any event. We bring in the basketballs!